Soak the dal in water for 3 hours. Wash and drain it. Grind it to coarse paste in a mixie/ grinder without adding water. Don't grind to a fine paste. Add the chopped onions, green chillies, ginger, curry leaves, red chilli powder, asafoetida and salt to the dal mixture and mix well. 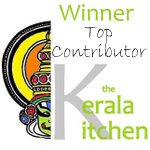 I received the Top Contributor Award from Julie for Kerala Kitchen Event. I am very happy for that. Julie, thank you very much for the award. I really appreciate that.. Same pinch Shabbu.For two reasons.Parippuvada is one and the second one 'kerala kitchen'. Hi Shabs congrats dear very happy for you!! !hard work always pays..
Congrats shabbu.. Very crispy and delicious vada.. The vada looks great... and congrats for the top contributor award. perfect teatime snack... congrats on ur award..
Congrats for your award...and love those crispy vadas. Nice & crispy!! Congrats for the award!! Delicious parippu vada, Congrats on your award. 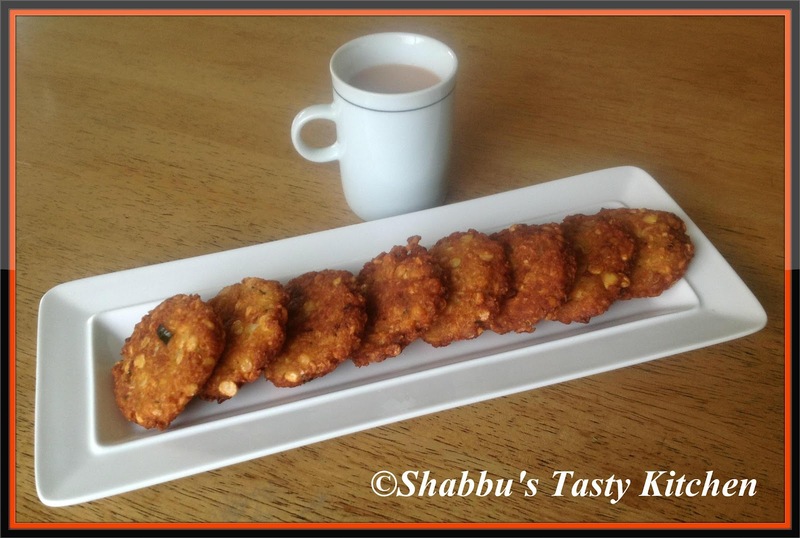 Congrats Shab, you deserve it.. Those crispy vadas tempts me a lot. very crispy n yummy vada looks more inviting! !